Located in the scenic foothills of Tennessee, The Jet Shop provides your one-stop needs for corporate jet management, maintenance, inspections, and repairs. Whether your aircraft is based out of Knoxville, Tennessee's McGhee Tyson Airport, you are just stopping by, or you need us to come to you, The Jet Shop will assist you with most any job—big or small—on your corporate jet aircraft. The Jet Shop offers the knowledge and expertise to get the job done right on a wide range of services. Whether you stop in before boarding your flight, or you choose to wait while your aircraft is being attended to, our first class entertainment area, The All American Lounge and Bar, awaits you. Check out the "Entertainment" page for more information. including Snap-On and Tronair, among others. Proud member of the National Business Aviation Association. 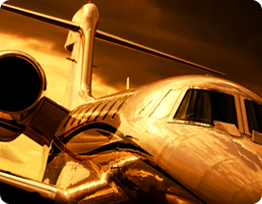 The Jet Shop provides management, maintenance, and repair services for corporate jets and luxury aircraft. Our certified mechanics are available for the on- and off-site maintenance and repair of premium aircraft, such as Cessna Citation, Hawker, Bombardier, Embraer, and Gulfstream. We also offer aircraft purchase consultation and other aircraft brokerage services in Knoxville, TN.